BoW Title: Do You Speak Visual? We are in the midst of a communications revolution. Instead of using the written word, society is relying on images more and more to communicate. It’s why the Toledo Museum of Art (TMA) is committed to teaching visual language. Using our collection as a teaching tool, TMA is helping audiences to learn to read, write and comprehend visual language. As part of our visual literacy initiative, TMA hosted the 47th International Visual Literacy Association (IVLA) conference in November of 2014. A teaser campaign combining digital and print elements was developed to generate buzz and create awareness about the conference and the Museum’s initiatives in this area. 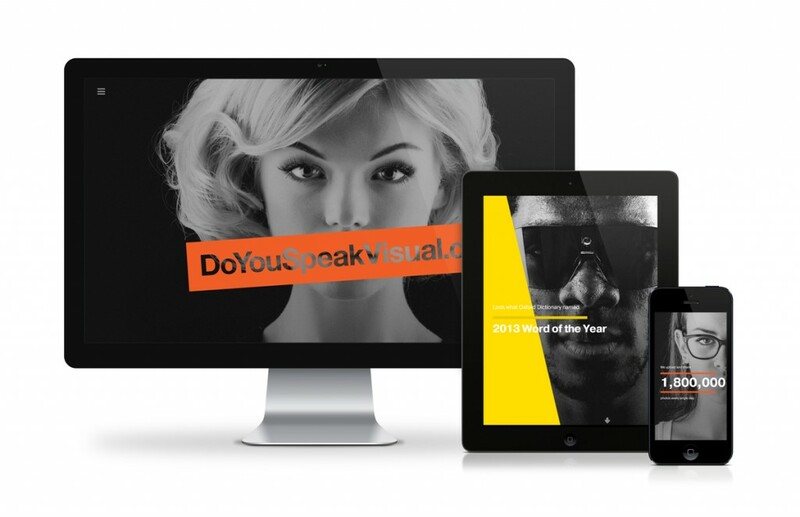 DoYouSpeakVisual.com was the cornerstone of the campaign. Visitors to DoYouSpeakVisual.com are guided through a series of facts and figures that stress the importance of being visually literate in this new digital reality. At the end of their journey, visitors have the opportunity to dive deeper. They can learn more about visual literacy, the Toledo Museum of Art’s approach to teaching visual language, and the IVLA conference. DoYouSpeakVisual.com is a responsive and interactive website that presents educational information in an engaging way. The content on the screen reacts to the movement of your computer mouse or tablet. Animation is a critical aspect of the site, whether it is transitioning between slides or emphasizing the information that is displayed on the screen.